Recently, Final Post worked with triple threat writer/director/actor Anya Beyersdorf of Gifthorse Films on her intriguing script Vampir. Weaving the Agile Post Pathways framework into the production from an early stage, Final Post were able to create a smooth, efficient and highly creative path for all involved. Anya’s dream team included producer Nicole Coventry and award winning cinematographer, Warwick Field ACS. The key protagonist, Vladimir was played by the all absorbing Tony Rogers, complemented by a mix of striking young faces forming the rest of the cast, adding to the Eastern Bloc aesthetic. The all star crew was rounded off with the involvement of boutique editing house, The Butchery in Melbourne and composer John Kilbey to create a haunting score for the film. 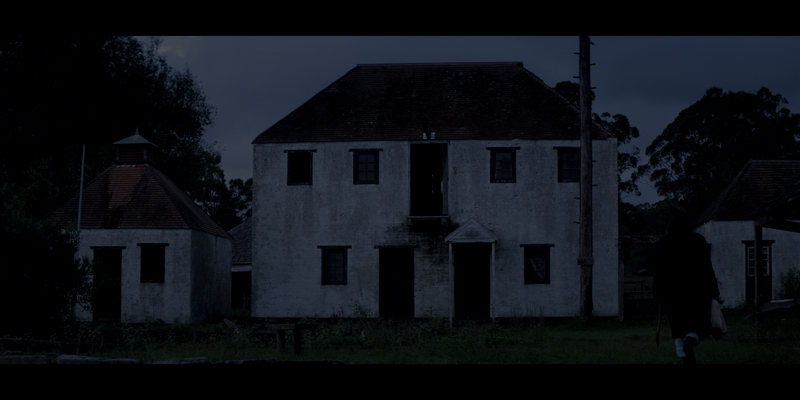 Intriguing rural locations were hand picked to give the film it’s eerie vampire vibe. Shooting dusk ’till dawn not only made the busy crew nocturnal, but also gave way to stunning pictures captured by Warwick. 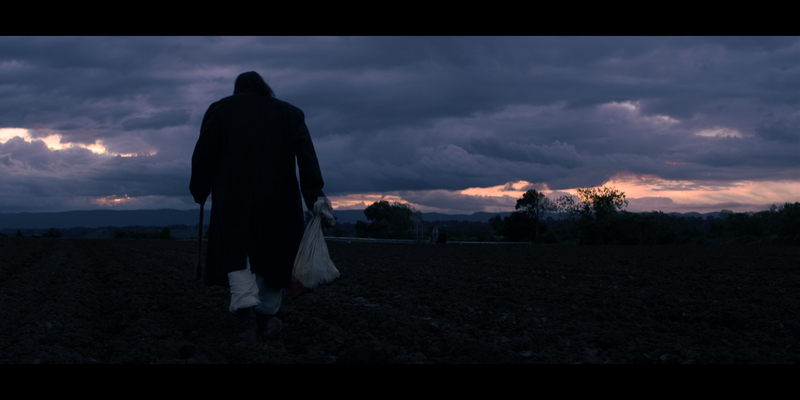 Shot on Red Epic with vintage Kowa anamorphic lenses, this promised to be a feast for the eyes. Of course, we rubbed our hands together with glee, seeing the precious art that would find our theatre for finishing – we really relish these moments! Shooting with a compact crew, on location and at night meant that our Agile Dailies workflow would fit this production perfectly. Our Agile supervisor Chloe Brandstater developed a workflow and data plan suited for Vampir, to arm Nicole (producer) with confidence and assurance that their beloved project would have a clear path through the technological jungle that is digital cinema production. Final Post armed the 2nd AC with our workflow and minimum requirements to implement the agile workflow. 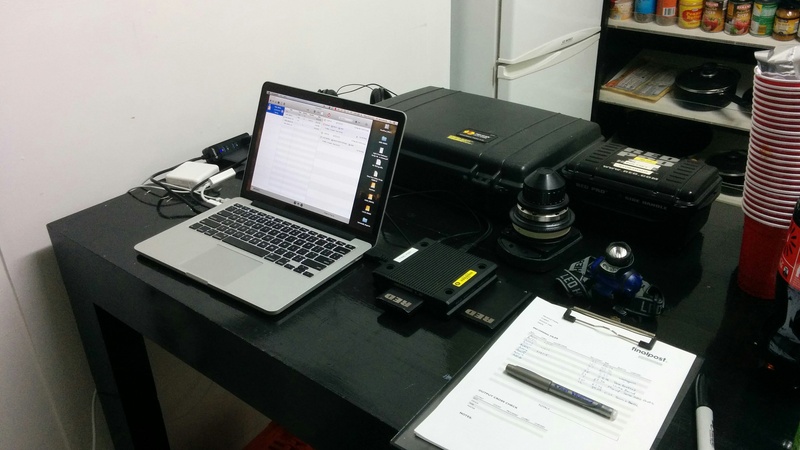 By securing the footage, making triplicates of the data, completing check sums and a simple QC, we received the rushes in tip-top shape. Of course, Shane couldn’t help himself and drove down to the last day of filming with daughter Amaya. Preparation for round trip back to the DI (colour grading software). Created HD ProRes files for directors for viewing. The editorial files were delivered to The Butchery in Melbourne, where they were able to open up the AVID bins, prepped and organised– and began cutting immediately. When we received the locked EDL edit the project conformed impeccably – no doubt due to our strict data processing and agile workflow. This allowed the edit to be loaded into the Nucoda system, linked to raw media within minutes – ready for Warwick, Anya and Shane to start grading in the theatre. It’s always a pleasure when technology makes way for the creative process to flourish. Due to simple planning and management of the pipeline from set through to finishing, every artist involved were able to work to their fullest. The film is due to be released in 2016… follow it’s journey on Facebook and watch the trailer here.